... and I'm forced to find beauty in other places. The season is changing and I've been cleaning up the garden this week. 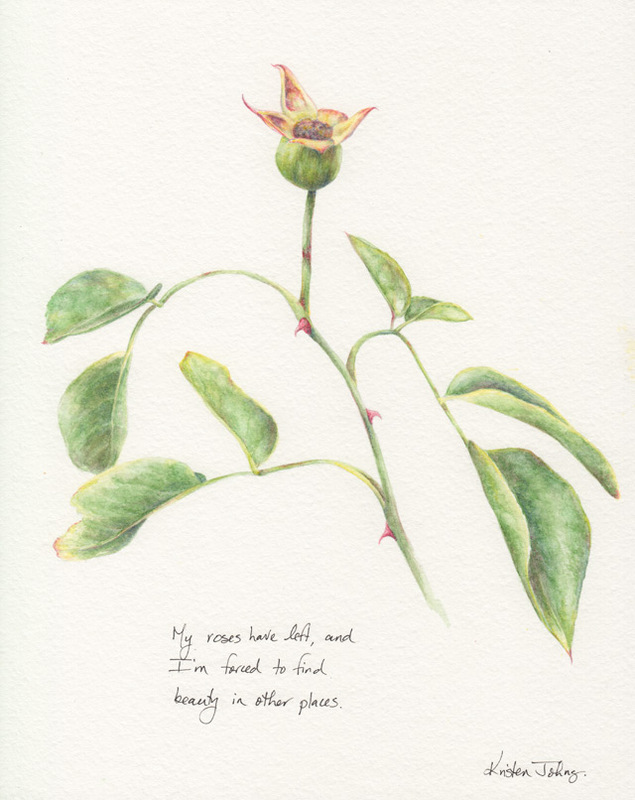 My roses have turned to rose hip, and now I must wait until next summer to see their blooms again. They inspired this painting. I love seeing your garden through your art. Simple beauty made profound. Thank you! The plants mirror my life so much. This painting was also inspired by my boys heading off to school this week, and by my own aging... not necessarily bad things, just changes. I like the loose spread of the leaves and fading edges. Also the mystery of the missing rose.... Nice work.